Following is legal information and links to U.S. Federal & U.S. State Laws and regulations as well as Foreign National Laws governing Badges, Emblems, Uniforms, Insignias and Names. All but a couple of U.S. States rely on the U.S. Federal laws and do not have their own State laws governing the possession, marketing and sale of police insignia. Also listed are any current efforts to pass legislation which may affect U.S. Badge Collectors. Whoever, except with the written permission of the Director of the Federal Bureau of Investigation, knowingly uses the words "Federal Bureau of Investigation" or the initials "F.B.I. ", or any colorable imitation of such words or initials, in connection with any advertisement, circular, book, pamphlet or other publication, play, motion picture, broadcast, telecast, or other production, in a manner reasonably calculated to convey the impression that such advertisement, circular, book, pamphlet or other publication, play, motion picture, broadcast, telecast, or other production, is approved, endorsed, or authorized by the Federal Bureau of Investigation shall be punished as follows: a corporation, partnership, business trust, association, or other business entity, by a fine under this title; an officer or member thereof participating or knowingly acquiescing in such violation or any individual violating this section, by a fine under this title or imprisonment for not more than one year, or both. Whoever, except with written permission of the Director of the United States Secret Service, knowingly uses the words "Secret Service", "Secret Service Uniformed Division", the initials "U.S.S.S. ", "U.D. ", or any colorable imitation of such words or initials, in connection with, or as a part of any advertisement, circular, book, pamphlet or other publication, play, motion picture, broadcast, telecast, other production, product, or item, in a manner reasonably calculated to convey the impression that such advertisement, circular, book, pamphlet or other publication, product, or item, is approved, endorsed, or authorized by or associated in any manner with, the United States Secret Service, or the United States Secret Service Uniformed Division shall be punished as follows: a corporation, partnership, business trust, association, or other business entity, by a fine under this title; an officer or member thereof participating or knowingly acquiescing in such violation or any individual violating this section, by a fine under this title or imprisonment for not more than one year, or both. Whoever, except with the written permission of the Director of the United States Mint, knowingly uses the words "United States Mint" or "U.S. Mint" or any colorable imitation of such words, in connection with any advertisement, circular, book, pamphlet, or other publication, play, motion picture, broadcast, telecast, or other production, in a manner reasonably calculated to convey the impression that such advertisement, circular, book, pamphlet, or other publication, play, motion picture, broadcast, telecast, or other production, is approved, endorsed, or authorized by or associated in any manner with, the United States Mint shall be punished as follows: a corporation, partnership, business trust, association, or other business entity, by a fine under this title; an officer or member thereof participating or knowingly acquiescing in such violation or any individual violating this section, by a fine under this title or imprisonment for not more than one year, or both. Whoever, except with the written permission of the Administrator of the Drug Enforcement Administration, knowingly uses the words "Drug Enforcement Administration" or the initials "DEA" or any colorable imitation of such words or initials, in connection with any advertisement, circular, book, pamphlet, software or other publication, play, motion picture, broadcast, telecast, or other production, in a manner reasonably calculated to convey the impression that such advertisement, circular, book, pamphlet, software or other publication, play, motion picture, broadcast, telecast, or other production is approved, endorsed, or authorized by the Drug Enforcement Administration shall be punished as follows: a corporation, partnership, business trust, association, or other business entity, by a fine under this title; an officer or member thereof participating or knowingly acquiescing in such violation or any individual violating this section, by a fine under this title or imprisonment for not more than one year, or both. Whoever, except with the written permission of the Director of the United States Marshals Service, knowingly uses the words "United States Marshals Service", "U.S. Marshals Service", "United States Marshal", "U.S. Marshal", "U.S.M.S. ", or any colorable imitation of any such words, or the likeness of a United States Marshals Service badge, logo, or insignia on any item of apparel, in connection with any advertisement, circular, book, pamphlet, software, or other publication, or any play, motion picture, broadcast, telecast, or other production, in a manner that is reasonably calculated to convey the impression that the wearer of the item of apparel is acting pursuant to the legal authority of the United States Marshals Service, or to convey the impression that such advertisement, circular, book, pamphlet, software, or other publication, or such play, motion picture, broadcast, telecast, or other production, is approved, endorsed, or authorized by the United States Marshals Service shall be punished as follows: a corporation, partnership, business trust, association, or other business entity, by a fine under this title; an officer or member thereof participating or knowingly acquiescing in such violation or any individual violating this section, by a fine under this title or imprisonment for not more than one year, or both. ENHANCED FEDERAL SECURITY ACT OF 2000 Sec, 716.Â Police badges (a) Whoever--- (1) knowingly transfers, transports, or receives in interstate of foreign commerce, a counterfeit police badge (2) knowingly transfers, in interstate or foreign commerce, a genuine police badge to an individual, knowing such is not authorized to possess it under the laws of the place in which the badge is the official badge of the Police; (3) knowingly receives a genuine police badge in a transfer prohibited by paragraph (2); or (4) being a person not authorized to possess a genuine police badge under the law of the place in which the badge is the official badge of the police, knowingly transports a badge in interstate or foreign commerce, shall be fined under this title or imprisoned not more than 6 months or both. (b) It is a defense to the prosecution under this section if the badge is used or intended to be used for exclusively--- (1) as a memento, or in a collection or exhibit; (2) for decorative purposes; (3) for a dramatic presentation, such as a theater, film, or television production; or (4) for any other recreational purpose. (c) As used in this section- (1) the term 'genuine police badge' means an official badge issued by public authority to identify an individual as a law enforcement office having police powers; and (2) the term 'counterfeit police badge' means a badge that so resembles a police badge that it would deceive an ordinary individual into believing it was a genuine police badge. The words "Blue Knights" are trademark protected, as is the international logo. There is a formal process for the issuing of sales permits that only "Chapters" and "Conferences" can obtain, not individuals or even individual members of the Blue Knights. A. No person shall manufacture, sell, design or transfer any regular police officer's badge without written authorization of the chief of police. Except as provided in subsection C of this section, the manufacture, sale, design or transfer of such badges shall only be for the purpose of delivering them to the chief of police. B. No person shall manufacture, sell, design or transfer any badge, star, shield, miniature, ring, charm or insignia, regardless of size, shape or design, which has on it the words "Glendale Police" or "Glendale Detective," or other words which, when used separately, together or in a combination with any other words, indicate a connection with the subdivision of police of the city, or which is identical in design with or which resembles or may be mistaken for the design of the regular police officer's badge, without written authorization of the chief of police and, except as provided in subsection C of this section, then only for the purpose of delivering the items to the chief of police. The use of the Los Angeles City Seal, LAPD marks, and LAPD Badges (City Marks) for any commercial purpose is unauthorized and constitutes trademark infringement under the law , including but not limited to the Lanham Act, 15 U.S.C. S 1125 and also violates or causes others to violate SS 52.23, 52.27 of the Los Angeles Municipal Code ("LAMC"), relating to Public Safety. Further, Section 63.108 of the LAMC protects the City Seal against use by private entities. The City of Los Angeles will aggressively confiscate and/or prosecute violators. SEC. 934. REGULATING SALE OF POLICE BADGES. It shall be unlawful for any person, firm or corporation to sell or offer for sale, or cause to be sold or offered for sale, or to deliver, or cause to be delivered, to any person, any badge or star of the kind or design used by the members of the Police Department, without the written authorization of the Chief of Police. 2.39.090 UNAUTHORIZED POSSESSION OF BADGE OR PRESS IDENTIFICATION CARD. No person shall have in his possession any official police badge or special reserve police officer's badge or press identification card which has not been lawfully issued to him according to the provisions of this chapter. No person shall possess any such card or badge after his right to use such card or badge has been terminated. Unless authorized by the Chief of Police, no person shall have in his possession any other badge, star, shield, miniature, ring, charm or insignia, regardless of the size, shape or design thereof, which has on it the words "San Mateo Police" or "San Mateo Detective," whether used separately, together or in combination with any other words indicating a connection with the San Mateo police department, or which is identical in design with or which so resembles an official police officer's badge or a reserve police officer's badge that it may be readily mistaken for either of such badges. No person who is not a regular police officer, reserve police officer, honorably retired police officer, police service aid or police cadet shall wear or display any badge, star or insignia calculated to indicate that he or she is a member of, or connected with, the San Mateo police department. (Ord. 1981-5 § 9, 1981: prior code § 10.37). 2.39.100 AUTHORIZED BADGES OF RETIRED OFFICERS. (a) Notwithstanding any other provisions of this chapter, any person who has been, during his lifetime, a duly and regularly appointed, commissioned and sworn police officer of this city and who has honorably retired from such position, may retain and carry any badge lawfully issued to him or otherwise lawfully acquired by him during his service or incident to his retirement, provided the word "retired" is plainly shown on such badge, by being engraved or embossed thereon or otherwise permanently affixed thereto. (b) Nothing in this section shall be deemed to authorize the use of any badge herein mentioned for any unlawful purpose, and any such badge so used may be confiscated by the Chief of Police. (c) Any badge mentioned in this section shall be subject to confiscation by the Chief of Police if worn or displayed by any person other than the person authorized to possess it, and shall be returned to the person authorized to possess it only upon a showing that such wearing or display was without his consent, express or implied. (Ord. 1981-5 § 10, 1981: prior code § 10.38). The sale or marketing of Los Angeles County Sheriffs badges, replicas of such badges, or badges which resemble Los Angeles County Sheriffs badges, will result in litigation under Los Angeles County Codes 5.64.310/5,64.350 which prohibit the sale of official peace officer badges and California Penal Code section 538d which renders such activity a misdemeanor and subject to a fine not to exceed $15000. The Colorado State Patrol (CSP) has used its name, logo and marks over a long period of time including on various products available to the general public and has invested significant time, effort and money in developing its distinctive trademarks. In that regard, CSP protects its trademarks with appropriate registration, its common law rights and a proactive and aggressive enforcement program. In fact, CSP has five (5) federal registrations, one of which is incontestable, which can be summarized as follows: (a) StatePatrol® (and design) Registration No. 2,386,832, (b) Colorado State Patrol Trooper® (and design) Registration No. 3,394,729, (c) State Patrol Colorado® (and design) Registration No. 3,394,730, (d) Colorado State Patrol® (and design) Registration No. 3,398,271, and (e) State Patrol Colorado® (and design) Registration No. 3,479,424. The sale or marketing of Mashantucket Pequot Tribal Nation badges, or any such products bearing the name of the Tribe or its registered trademark are in violation of Section 43(a) of the Lanham Trademark Act. (1) Unless appointed by the Governor pursuant to chapter 354, authorized by the appropriate agency, or displayed in a closed or mounted case as a collection or exhibit, to wear or display any authorized indicia of authority, including any badge, insignia, emblem, identification card, or uniform, or any colorable imitation thereof, of any federal, state, county, or municipal law enforcement agency, or other criminal justice agency which could deceive a reasonable person into believing that such item is authorized by any of the agencies described above for use by the person displaying or wearing it. 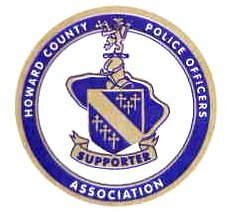 (3) To sell, transfer, or give away the authorized badge, or colorable imitation thereof, including miniatures, of any criminal justice agency as now or hereafter defined in s. 943.045, or bearing in any manner or combination the word or words "police," "patrolman," "sheriff," "deputy," "trooper," "highway patrol," "Wildlife Officer," "Marine Patrol Officer," "marshal," "constable," "agent," "state attorney," "public defender," or "bailiff," which could deceive a reasonable person into believing that such item is authorized by any of the agencies described above, except for agency purchases or upon the presentation and recordation of both a driver's license and other identification showing any transferee to actually be a member of such criminal justice agency or unless the person is appointed by the Governor pursuant to chapter 354. May 2005 - Cook County, Illinois Sheriff Michael Sheahan's request to make sales of law enforcement badges illegal without the express written consent of the agency named on the badge went into effect on 1-1-06 as seen in the Criminal Code posted below. However the standard Federal defense to prosecution is still valid for Collectors. Sec. 32 5.2 5. False law enforcement badges. (a) A person who knowingly produces, sells, or distributes a law Enforcement badge without the express written consent of the law enforcement agency represented on the badge, or in case of a reorganized or defunct law enforcement agency, its successor law enforcement agency, is guilty of a Class A misdemeanor. A second or subsequent violation of this Section is a Class 3 felony. 6 (720 ILCS 5/17-2.1 new) 7 Sec. 17-2.1.False police badges. A person who manufactures, sells, trades, exhibits for sale, or offers for sale, an identification card or badge of a police organization, or a colorable imitation of an identification card or badge of a police organization, knowing that his or her conduct is not authorized by that organization, commits a Class 4 felony. The Current design Chicago Police Department star (2002-present) is copyrighted. As such, the provision of Title 18, section 716 and Illinois ILCS 5/32 allowing for an affirmative defense is void in the case of the Chicago Police Department star. without the written permission of the chief executive officer of the law enforcement agency commits unlawful manufacture or sale of a police or fire insignia, a Class A misdemeanor. (2) a Class B felony if the person commits the offense with the knowledge or intent that the badge or employment identification will be used to further the commission of an offense under IC 35-47-12.
of the area of an official badge that is used by a law enforcement agency or fire department of the state or a political subdivision of the state as measured by multiplying the greatest length of the official badge by the greatest width of the official badge. As added by P.L.110-2009, SEC.16. The State of Maine is one of the few states with a law that prohibits the sale or distribution of any item of the Maine State Police uniform. 3. Pretending to be a duly licensed physician or other person authorized to issue a prescription for any drug or any instrument or device used in the taking or administering of drugs for which a prescription is required by law, communicates to a pharmacist an oral prescription which is required to be reduced to writing pursuant to section thirty-three hundred thirty-two of the public health law. Criminal impersonation in the first degree is a class E felony. A person is guilty of criminal sale of a police uniform when he or she sells or offers for sale the uniform of any police officer to any person, unless presented with a valid photo identification card showing the purchaser to be a member of the police department which has authorized the requested uniform or an authorization to purchase specified uniforms signed by the police chief or the police commissioner of such police department accompanied by a personal photo identification. For purposes of this section, "police officer" shall include federal law enforcement officers, as defined in section 2.15 of the criminal procedure law; and "uniform" shall include all or any part of the uniform which identifies the wearer as a member of a police department, such as the uniform, shield, badge, numbers or other identifying insignias or emblems. Criminal sale of a police uniform is a class A misdemeanor. NEW YORK CITY POLICE & AUXILIARY OFFICERS: Internal policies prohibit the sale of any law enforcement badge by active duty police officers. The Ohio State Highway Patrol insignia and logo are registered trademarks with the United States Patent and Trademark Office. The Patrol's flying wheel symbol, when used in conjunction with any combination of the words, "Ohio State Highway Patrol," and the Ohio State Highway Patrol Trooper Badge, are protected under United States trademark laws. Any use of the Patrol's logo/emblem, except those uses outlined in the Ohio Revised Code, Ohio Administrative Code, and Division rules & regulation, policies and procedures, must be licensed. The unauthorized use of the Ohio State Highway Patrol indicia is a violation of state and federal law, subject to civil and criminal penalties. The Patrol has a licensing program that allows vendors to produce merchandise that bears their trademarks. Click here for information regarding the Ohio State Highway Patrol Trademark Licensing Program. The Pennsylvania State Police Badge is a trademark of the Pennsylvania State Police. The badge has been registered with the Pennsylvania Department of State and with the United States Patent and Trademark Office under the Trademark Act of 1946. As a result, such insignia cannot be used without permission and a license from the Commissioner of the Pennsylvania State Police. As a matter of policy, the Commissioner of the Pennsylvania State Police does not generally permit the commercial exploitation of the Pennsylvania State Police Badge in the marketing of merchandise except by their licensed charities. Accordingly, the Pennsylvania State Police will object to your producing, marketing and selling of any item bearing the Pennsylvania State Police Badge insignia and will pursue their rights in all 50 states. Texas Penal Code, Section 37.12. False Identification as Peace Officer. (c) In this section, "reserve law enforcement officer" has the same meaning as is given that term in Section 1701.001, Occupations Code. (d) A person commits an offense if the person intentionally or knowingly misrepresents an object as property belonging to a law enforcement agency. (e) An offense under this section is a Class B misdemeanor. Texas law prohibits the making, buying, selling, or trading of replicas or real Texas Ranger badges of the currently-used style. The penalty for violation is up to one year in jail and/or a $4,000 fine per instance. Texas Law. The use of any NSW Police "insignia" as defined in section 203 of the Police Service ACT 1990 without the express written approval of the NSW Police is an offence and may lead to criminal prosecution. (1) No person or organization shall use the uniform, insignia, vehicle markings or other signs or symbols of a police department. (2) Where the Minister is of the opinion that the uniform, insignia, vehicle markings or other signs or symbols employed by a person or organization are so similar to those used by a police department that the public or a member of the public may be misled, the Minister may, by order in writing, require the person or organization to cease using the uniform, insignia, vehicle markings or other signs or symbols. California, Los Angeles Police, All current contain the LA Seal - Los Angeles City Attorney's Office - Rockard J. Delgadillo. Connecticut, Mashantucket Pequot Tribal Nation Police - Henry Sockbeson, Esq. 49 U.S.C. § 46505(b)(2) - A person who places, or attempts to place, a loaded firearm on an aircraft "in property not accessible to passengers in flight," such as the cargo hold, commits a federal felony. 49 U.S.C. § 46505(a) - Loaded firearms include starter pistols or cap guns. 49 U.S.C. § 46505(b) - A person convicted under this section can be fined and imprisoned for up to 10 years.